Cleveland Ballet performs Ramón Oller’s Coppélia, 8 p.m., Friday, April 5 and 1 p.m. and 7 p.m., Saturday, April 6; Ohio Theatre at Playhouse Square, 1501 Euclid Ave., Cleveland. Tickets are $25-79 and available by calling (216) 241-6000 or playhousesquare.org. For group sales: (216) 640-8603. More information at clevelandballet.org. Lauren Stenroos and Alfredo “Freddy” Rodriguez rehearsing Coppélia. 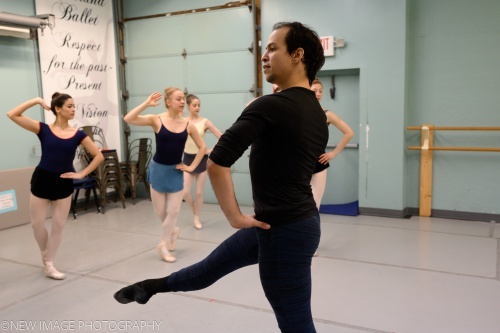 Rainer Diaz and Cleveland Ballet dancers rehearsing Coppélia. 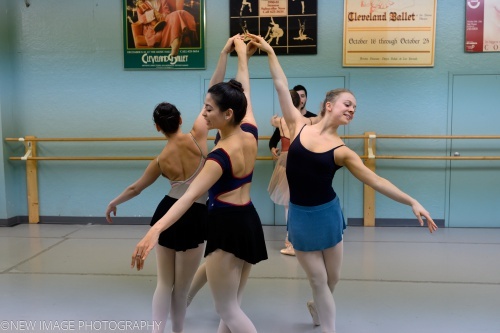 Cleveland Ballet dancers rehearsing Coppélia.